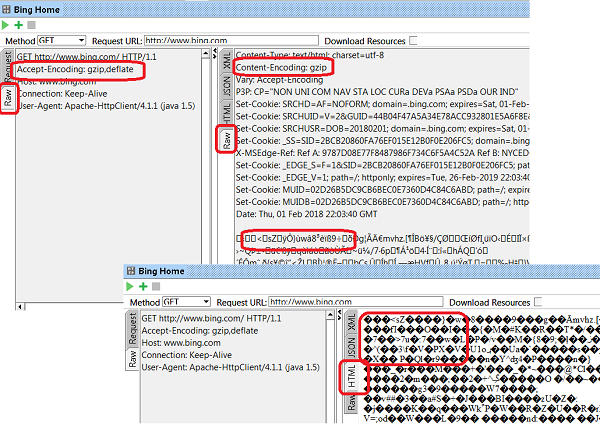 Why I am getting gzip compressed HTTP response in SoapUI? If you run a HTTP request for some Website, you may get gzip compressed HTTP response back as shown in this tutorial. 3. Click the "HTML" tab on the Response panel. You see strange characters. So the reason you are getting gzip compressed response is that SoapUI accepts gzip compression, and bing.com supports gzip compression. See the next tutorial on how to turn off compression.